Besides his commerical work, Mr. Dabney is also involved in his own documentary photographic projects, which have been exhibited nationally. For fifteen years, Taylor Dabney worked on his project A Portrait of Teenage Mothers. The Sawtooth Center for Visual Art in Winston-Salem, N.C. and the Peninsula Fine Arts Center in Newport News, VA. have hosted the A Portrait of Teenage Mothers exhibit along with the associated photographic workshops for teenage mothers conducted by Mr. Dabney. Photographs from this series have been included in the traveling exhibit, B.A.B.Y. originating at the Hand Workshop Arts Center and Virginia Photographers, Invitational 1997 at the Longwood Center for the Visual Arts. More recently a selection of photographs from A Portrait of Teenage Mothers was part of the In Situ: Portraits of People at Home exhibition at the Hand Workshop Art Center curated by Ashley Kistler. 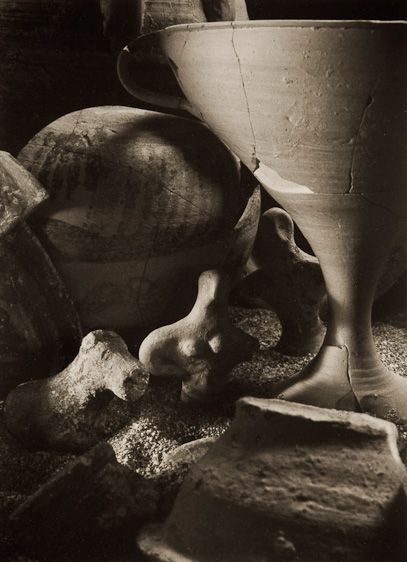 Mr. Dabney started working as a photographer for archaeological excavations in 1980. The first project was the Kommos Excavations on the south coast of Crete, under the direction of Dr. Joseph W. Shaw, and Assistant Director Dr. Maria Shaw. This is a Minion harbor site with palatial buildings situated on a beautiful beach near the village of Pitsidia. The next project was the Nemea Valley Archaeological Project based in the village of Archia Nemea, located Southwest of Corinth, Greece. The project was made up of excavations of the prehistoric site of Tsoungiza, directed by Dr. James C. Wright, an archaeological survey of the area directed by Dr. John F. Cherry, Dr. Jack L. Davis, and Dr. Eleni Mantzourani, and a anthropological study of the valley under the supervision of Dr. Susan Sutton. During the years he worked on these projects, Mr. Dabney had the opportunity to be the photographer for Dr. Ted Banning on the Wadi Ziglab Project in Jordan, near the town of Deir Abu-Said. Recently, Mr. Dabney worked as photographer on the Mitrou Archaeological Project co-directed by Dr. Aleydis Van de Moortel, and by Eleni Zahou of the 14th Ephoreia of Classical and Prehistorical Antiquities (IDEPKA) at Lamia.